The air pulsates with energy, a mystical haze flows in a controlled manner around the form of a dark battlemage. With arms raised to unleash a devastating spell, all eyes draw to the ancient emblems on the Cultist Leather Bracers. 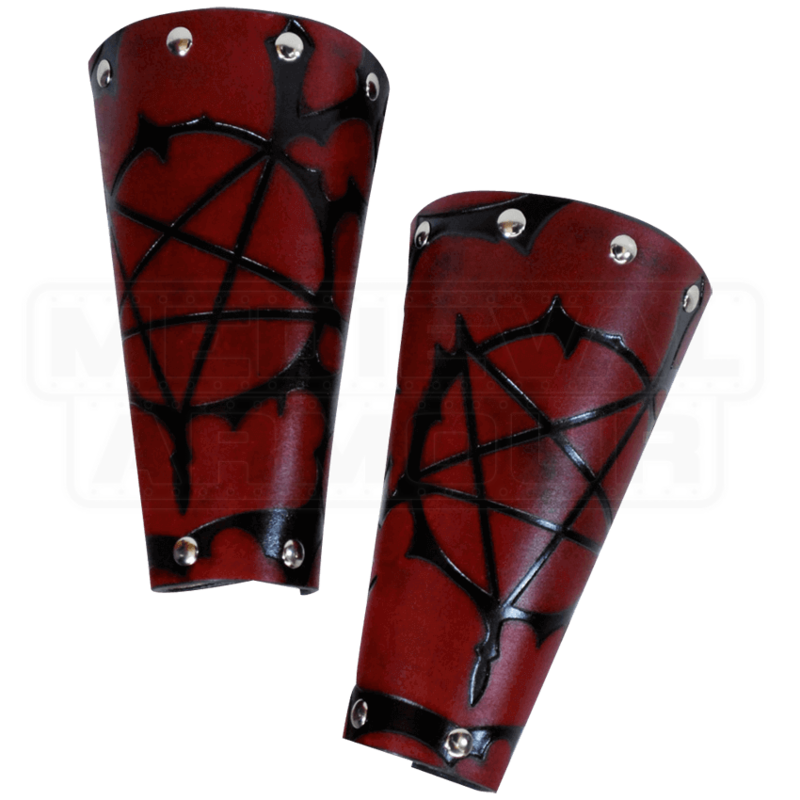 The gothic pentagram upon each forearm guard bespeaks a warrior adept in the magical arts. This striking symbol appears grandly on reddish brown leather, nickel-plated rivets and eyelets catch the light, creating an interesting contrast. 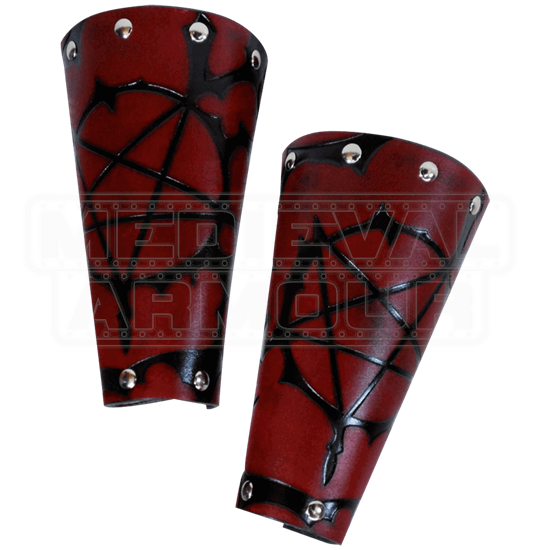 Leather lacing runs through the eyelets, ensuring the bracers fit securely, increasing the defense of their master.